This is book three of the Iron Druid Chronicles series. If you would like to hear more, you will find the first chapter of book four at the end of this recording. Do make sure you get the versions performed by Luke Daniels who does excellent character differentiation and sounds like he loves each character. Mr. Christopher Ragland makes female characters sound brainless and Oberon the dog sound witless instead of awesome. 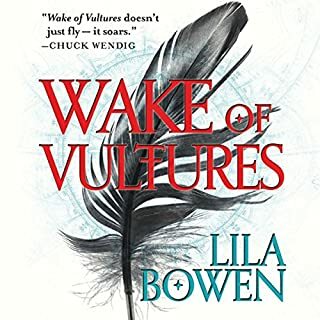 This series of books is excellent and I am currently binge listening them one by one. Will make sure to get the ones performed by Luke Daniels though. If you could sum up Hammered in three words, what would they be? It goes without saying the best part of Christophers performance is Oberon. If you haven't read any of the books you won't understand but you can feel this character as he reads it. No, I normally limit to hour stints. Although I suppose if you had good stamina, one sitting might be possible. This book has a lot of monologging. 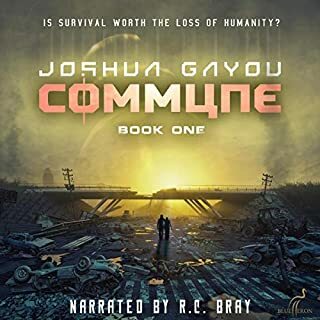 While it read well in paperback, in audio it seems to drag on. This is really my only negative on the story. 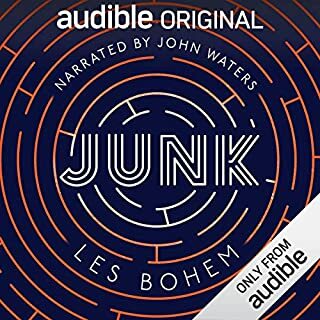 Amazing funky story with amazing Narrating . If you looking for easy to enjoy and stimulating entertaining sci fi , this is your book . I would highly recommend C.Ragland narrating , as he brings life abd joy to the story . I'm training for an ultra-hike (100KM) so I needed something that was (a) easy to listen too as I'm map reading at the same time and (b) exciting enough to fill in the time when there isn't any decent scenery to look at. This fits the bill. There are some excellent action sequences, the plot isn't too complicated and there are some genuinely funny jokes (very important in 4hrs of walking). The one thing I would say is that Christopher Ragland's range of female voices is not great. I think that Granuaile sounds a bit like a simpering idiot (and she's meant to be hot, intelligent and spirited, go figure), so I've taken a star off performance. That's my opinion though and it's certainly not enough to put me off. I'm buying the next one. What made the experience of listening to Hammered the most enjoyable? I have enjoyed these books, they are quite lighthearted fun capers probably aimed at young adults but still quite fun to break up more heavy book digestion. Which character – as performed by Christopher Ragland – was your favourite? most were good....................accept for the dog! easy to dip in and out of. enjoy the books, please give the dog a personality transplant. This series just gets better and better. The storyline is amazing and the voices are great. Love the story easy to listen to,just love the Morrigan & narration was excellent,Kevin RIP. As with Dresden, this series just got turned up a notch, and at the same point as well – book 3. There is not quite as much humour in this one (although still plenty), as it is replaced by a larger, more grand, over-arching storyline, which finishes off with an awesome battle at the end amongst gods and immortals. 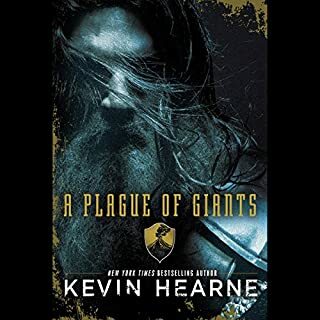 The episodic comedy-action formula only works for so long, and Kevin Hearne has made a good move here in my opinion. I think Hearne also did a great job of making Atticus a bit more vulnerable in this one. 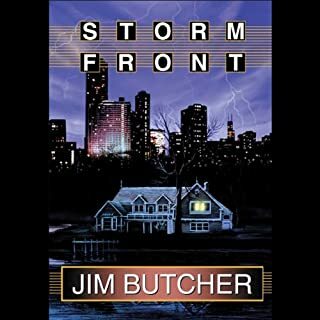 First person narration can sometimes make us readers/listeners not worry about the protagonist, but that wasn’t the case in this book. There are also plenty of sentimental scenes during the final battle amongst Atticus's allies. Can’t wait to get into book 4. Christopher Ragland overall did a very good job. He suits the story’s style and humour of Atticus very well. I have never been sure about his voice for Oberon, who is the funniest character in the story, but it’s not bad enough to detract from my enjoyment. What the hell was going on with this book. The first two were extremely enjoyable, with a lot of humour and action and following a little formula. This book seemed very disjointed, from the very first chapter. OK, we know from the last book that Atticus has promised to get some enchanted fruit. So the story starts there. No introduction, just the start of the theft. Once that was done i thought we would get back to the main thrust of the story - which we did - but it was not the story i was expecting. Atticus leads a group to Asgard to slay try to slay Thor. We have gone from a light hearted series to a fairly serious story about the group ready to kill. We have stories about their past, and big serious fights were a lot of entities (people, supernatural, gods etc) are killed. This book lacked the satisfaction i got from the first two. Hopefully the next book will be better and back to formula with the right amount of geeky humour back. 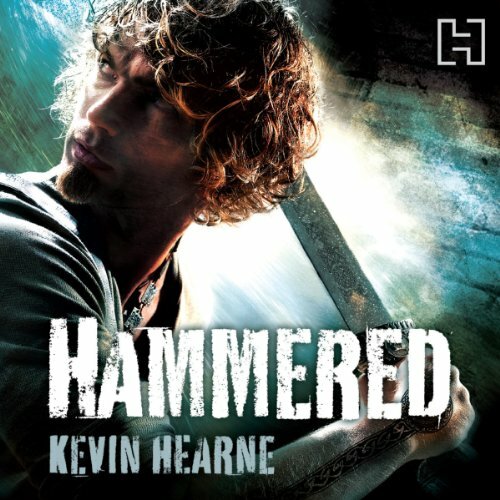 Where does Hammered rank among all the audiobooks you’ve listened to so far? At least in the top 10! But, bear in mind I've listened to all of Game of Thrones, all of which are amazing! This is the best group of books since them!! Its taken ages to find a good set of books to get addicted to since GOT and these are brilliant! What other book might you compare Hammered to, and why? Lord of the Rings meets World of Warcraft! Excellent a brilliant performance, all the voices are wonderful and animated. I thought I'd be starting to get sick of this series by now... But then the author seemed like I know said that things needed to be changed up! And now the story line progresses exceptionally well! This book was fantastic, I cannot wait for the next one when my monthly subscription renews. A fun next step in the series. 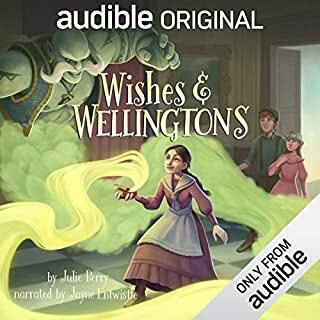 After reading the first two went audiobook for the third and will probably do the rest this way, mostly due to the excellent reading and voice work which really bought the characters to life.